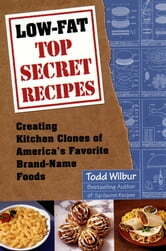 **#1 bestselling Top Secret Recipes series with more than 4 million books sold! 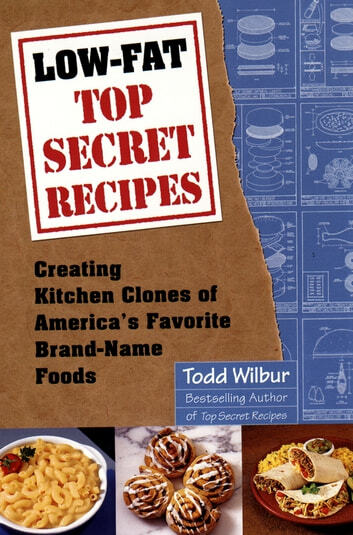 Todd Wilbur**, the irrepressible restaurant recipe knockoff artist, is back. Thanks to Wilbur's latest Top Secret mission—to re-create some of America's most popular food products without the fat—readers can now feast guilt-free on their favorite snacks. The easy-to-follow recipes, along with Wilbur's patented blueprint illustrations, are guaranteed to produce healthier homemade treats that taste identical to the real thing—like Nabisco Reduced-Fat Oreo Cookies or Entenmann's Light Low-Fat Cinnamon Rolls. Wilbur also tackles some familiar restaurant delights, including Bennigan's Buffalo Chicken Sandwich, McDonald's Arch Deluxe and Egg McMuffin, and Wendy's Chicken Caesar Fresh Stuffed Pita—concocting them all at a fraction of the calories and at a fraction of the cost. Once again, the intrepid Todd Wilbur goes where no food writer has gone before—and proves that when it comes to providing recipes for food that diners really want to eat, he is the peoples' choice. You Gotta Eat Here Too! Coming Home For Christmas: Warm, humorous and completely irresistible!